Planning to see "Hamilton" at Playhouse Square? Check out HTS alum Payton St.John on the show's program! 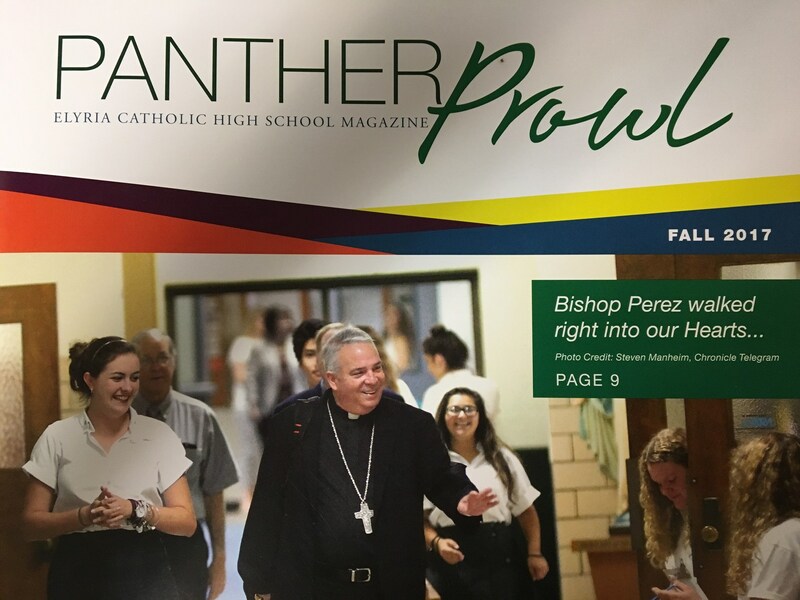 HTS alum Caroline Heitz served as Bishop Nelson's student ambassador as he toured the school and celebrated Mass with the EC community. 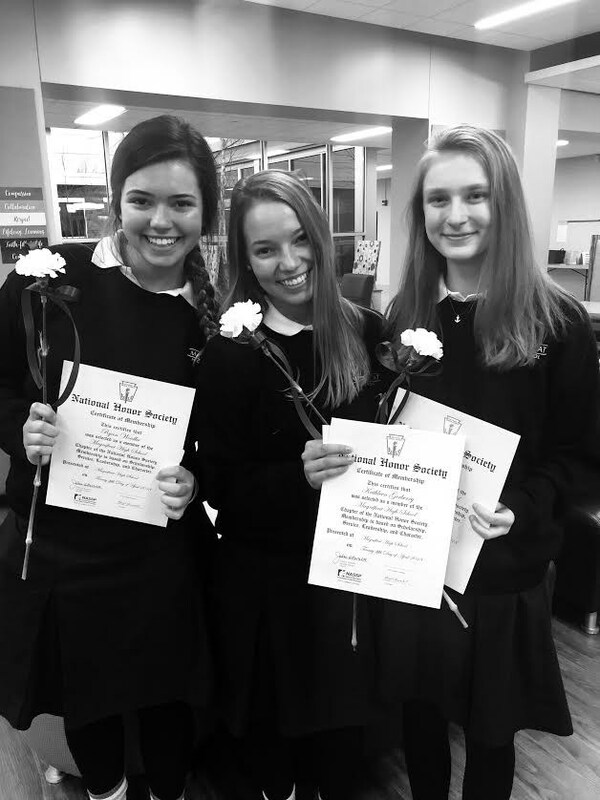 Holy Trinity’s own and Saint Joseph Academy senior, Kiera Reilly, has been named a National Merit Commended Scholar in the 63rd annual National Merit Scholarship Program. Her extracurricular activities at Saint Joseph Academy include serving on the Senior Leadership Team, Academy Ambassadors Executive Board, is a member of the Health Sciences Honors Program, Catholic Schools for Peace and Justice (CSPJ) Leadership Board, the founder for Friends with L’Arche, is a Eucharistic Minister and participates in Indoor and Outdoor Track.Kiera’s college plans include applying to University of Notre Dame, Loyola University Chicago, Xavier University, University of Dayton and Boston College. Congratulations Kiera! Joining Keira in earning this accolade, is HTS graduate, Bartholomew Hewitt. Bart has also been recognized as a National Merit Commended Scholar. Bart is a member of the St. Edward High School Rowing Team, Student Ministry, National Honor Society and Science Olympiad. He also serves as a St. Ed’s Student Ambassador. Bart hopes to attend the University of Chicago, John Hopkins University or Case Western University. Congratulations Bart! The Forward Scholarship at St. Edward High School was started by Mr. & Mrs. Jim Walter ’63 during the 2014-2015 school year. 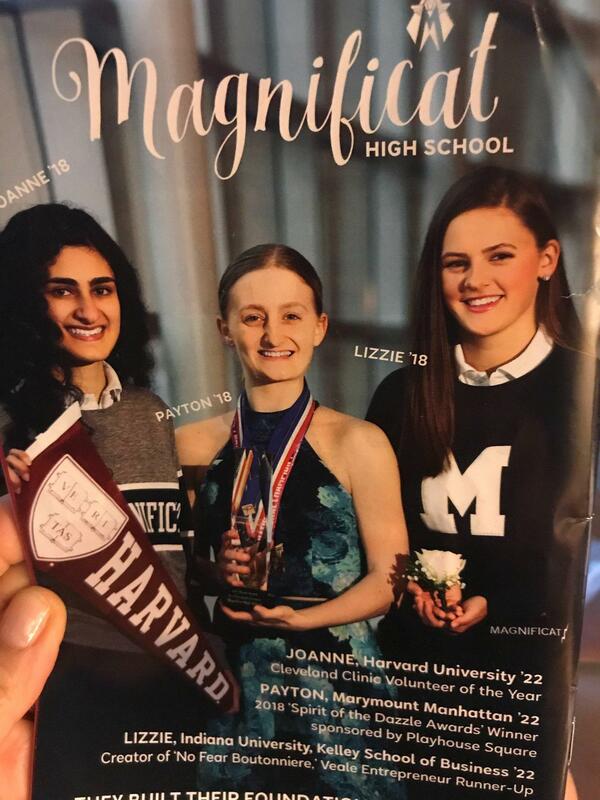 Forward Scholarships are offered to students who have demonstrated an understanding of the belief that for whom much is given, much is expected. These students understand that the skills and intellect they possess have been given to them by God and are not truly used to their maximum potential until they are used in service to others. The scholarship supports exceptional students during their sophomore, junior and senior years with an annual renewable scholarship of $8000. Thirty-five freshmen were nominated to receive this scholarship. Four will be selected. 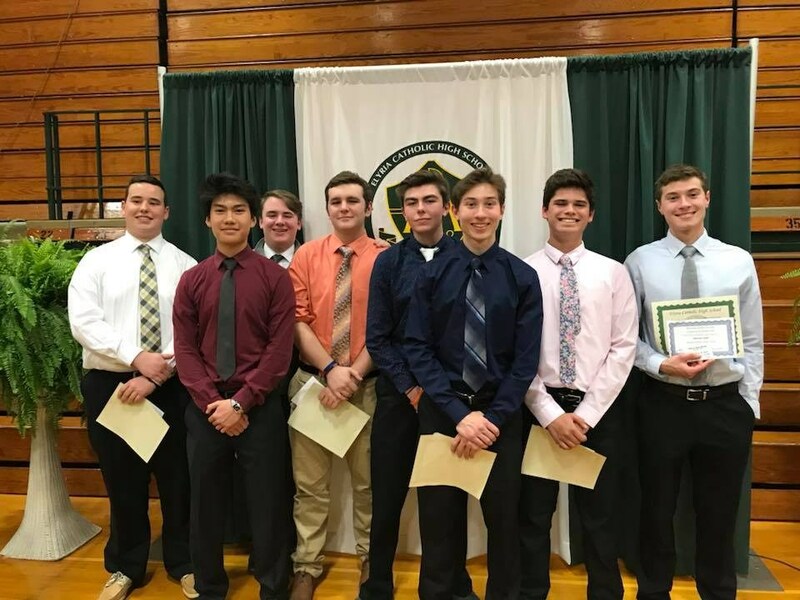 Holy Trinity School is proud to report that seven Holy Trinity Alumni from the Class of 2016 were among the nominees. 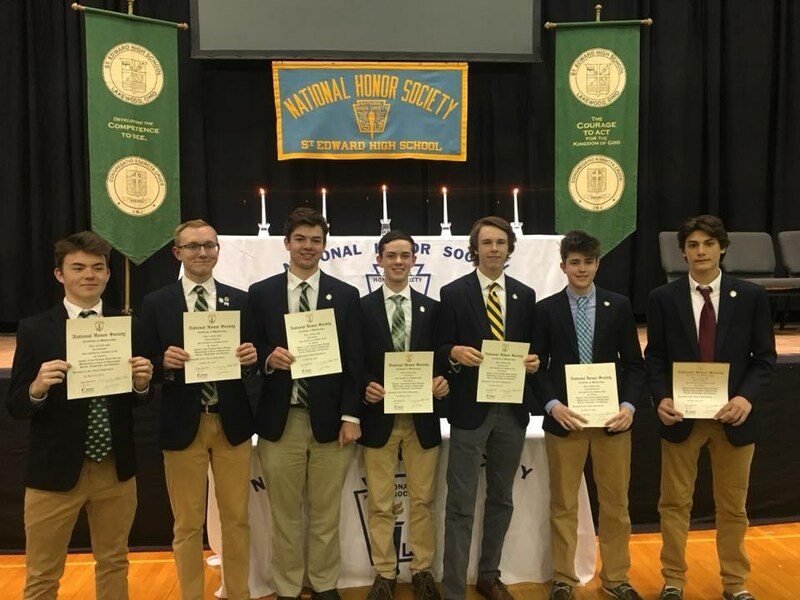 Congratulations to Liam Brian, Douglas Camp, Jack Dougher, Andrew Hoffman, Dean Gassman, Jack Stalla, and Charlie Williams. Below is a list of students achieving academic excellence at area high schools during the current 2016-2017 school year. We are proud of your accomplishments and glad you are still soaring like an eagle.